The Different Face Shapes Whether you believe that our face shape is a product of our natural body growth or … Continue reading "What is my Face Shape"
A high forehead and angular edges usually represent your face shape. 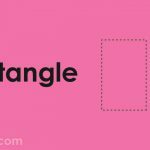 A rectangle face shape is quite symmetrical in that … Continue reading "You Have Rectangle Face Shape?" A stand out feature of square face shape is the jaws as this is the widest part of the face. 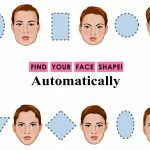 … Continue reading "You have Square Face Shape?" Your face shape similar to an inverted triangle; a notable broad forehead with a small chin. The chin does not … Continue reading "You have Triangle Face Shape?" 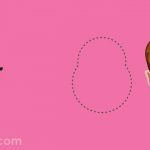 A stand out feature of a heart face shape is a wide forehead and cheekbones which becomes narrow when you … Continue reading "You have Heart Face Shape?" You have wider cheekbones and it is the most prominent feature of their facial structure. The forehead and the jawline … Continue reading "You have Oval Face Shape?" Your jawline, cheekbones and forehead are about the same width. The length of the face is longer in comparison to … Continue reading "You have Oblong Face Shape?" The width of your face is mostly the same length of your face. Your jawline will also have a soft … Continue reading "You have Round Face Shape?" Cheekbones are the widest feature of your face. You have a narrow forehead and chin as compared to the cheekbones, … Continue reading "You have Diamond Face Shape?"